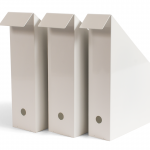 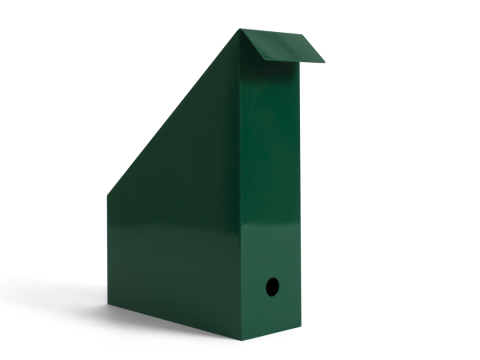 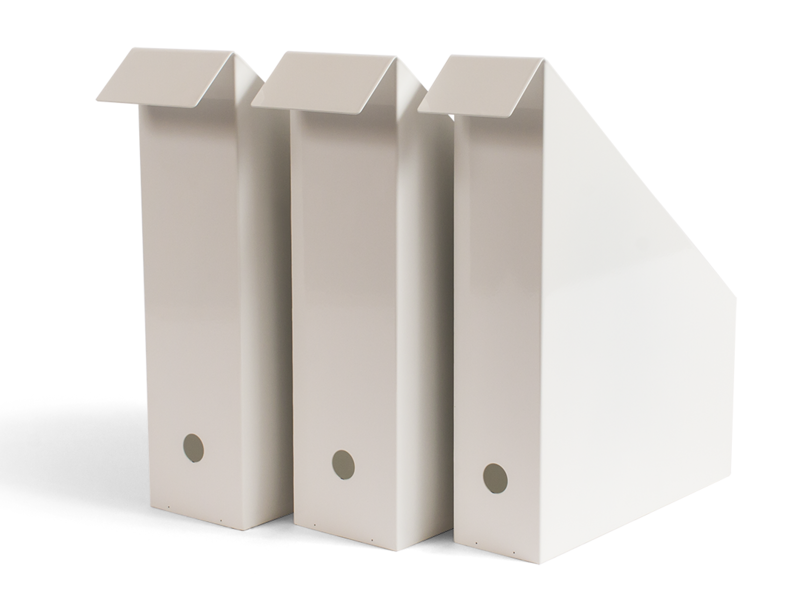 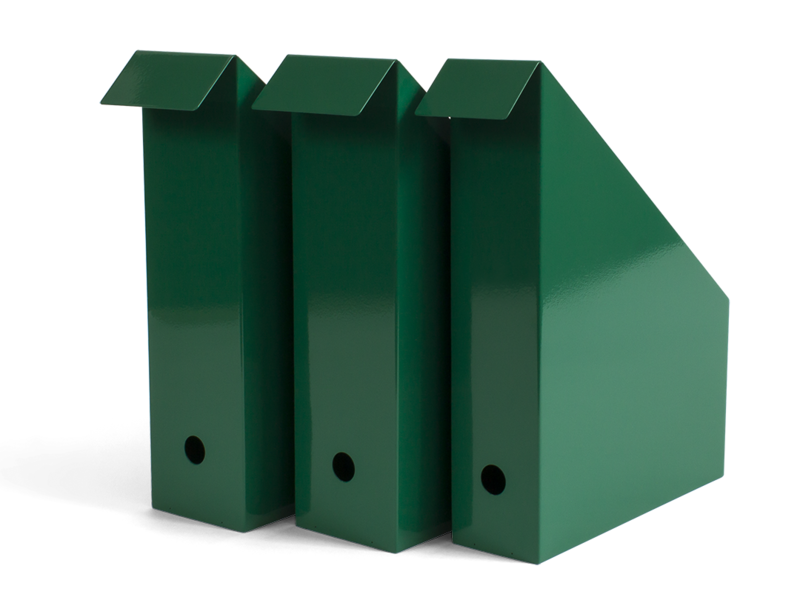 A set of three file holders suitable for any work environment. 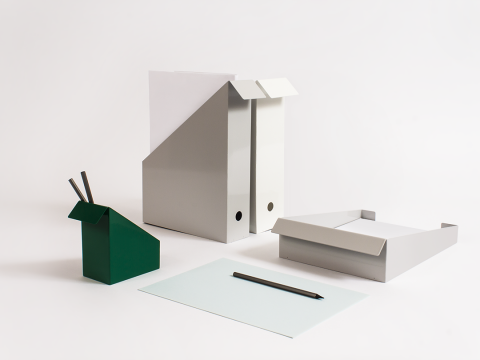 The shapes and details of the products are not following a decorative perspective, but a rational and functional purpose. 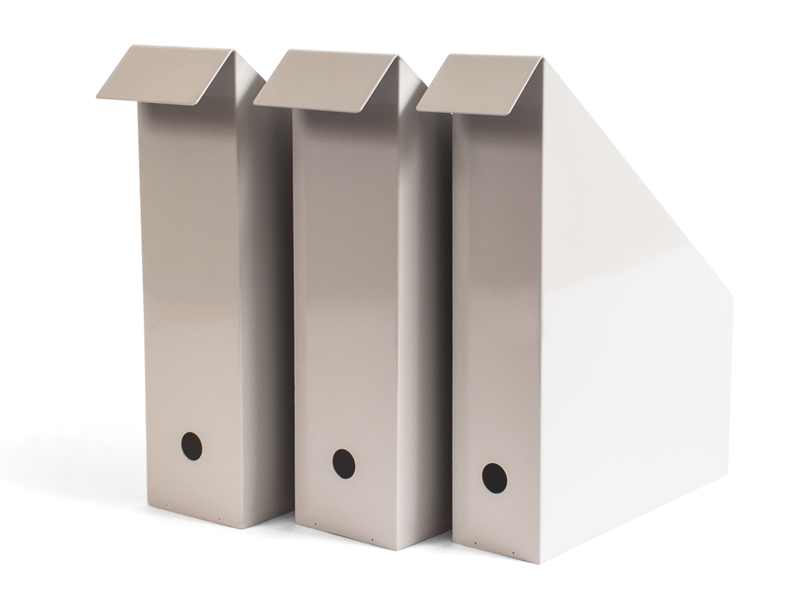 Therefore, the 45 degree bent “handle” makes it easier to grab, pull and move them of a shelf or on a surface. 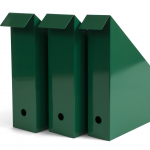 The products are made from steel sheet, material chosen for both its sturdiness and lightweight, ensuring quality.